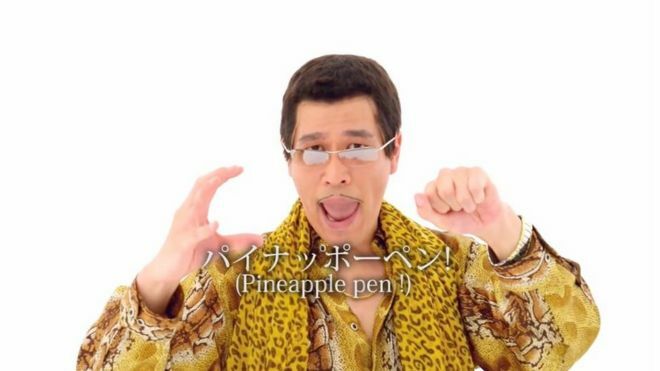 Infectiously-catchy earworm ‘PPAP’ (short for Pen-Pineapple-Apple-Pen‘) was performed by animal print-clad DJ Piko-Taro, a fictional character played by Japanese entertainer Kazuhiko Kosaka. I have a pen. I have [a] pineapple. Pineapple-pen! But how did the 40-year-old DJ come up with such a bizarre song about fusing a pen with an apple and a pineapple? “When I was making this music with play, I was [just] singing it too soon,” the newly-crowned internet star explained in a tweet to fans from an account created for his newly-coined character. Why has it gone viral? It has all the ingredients for a viral video formula: an addictive beat, silly lyrics and a hilariously simple dance routine to back it up. 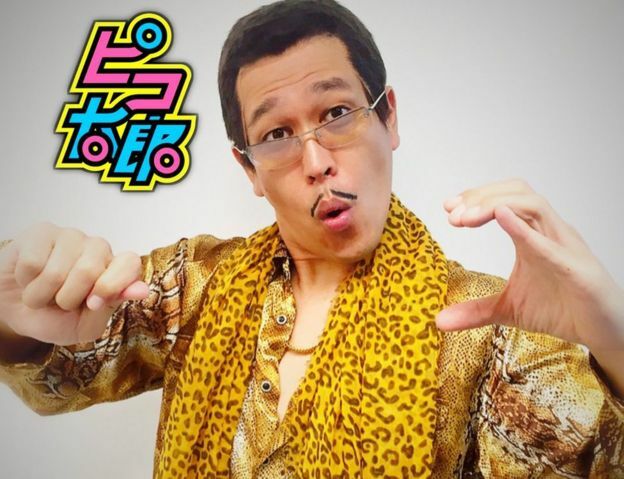 And it was only a matter of time before the minute-long song, first uploaded onto Piko-Taro’s official YouTube channel, quickly spread to Facebook. Youtube es un mundo inescrutable donde todo el mundo danza a su libre albedrío. Pero de vez en cuando algunas perlas ven la luz. Ese ha sido el caso del hit del momento: ‘The Pen Pineaaple Apple Pen’. Una canción muy pegadiza. Su autor es Piko Taro, un japonés que canta sobre un boli y una manzana. La letra es muy sensilla y ha motivado a muchos a realizar su propia versión de la canción. También son muchos los memes que han arrasado los medios. El humorista Japonés Piko Taro tambien ha creado un video donde enseña la rutina del baile. Bueno sin duda algo para reír y alegrarte el día de hoy. Escrito por C.Donoso by Positive Diva. Previous ArticleThe unknown of the universe has been exposed-El cielo jamás visto ha sido revelado. Next ArticleLeather Skirts how to look Divine be always the most chic-Como lucir Divina en faldas de piel seras siempre la más chic. The Secrets of Champagne, How should be Drink in. Los secretos del Champagne como se bebe realmente. Magic evening at Emmy Awards 2017, Una mágica noche para la Television en los Emmys 2017.